H. Kamata, X. Li, U. Chung, and T. Sakai: “Design of Hydrogels for Biomedical Applications” Adv. Healthcare Mat., 4 (2015) 2360-2374. S. Kondo, T. Hiroi, YS. Han, TH. Kim, M. Shibayama, U. Chung, T. Sakai: “Reliable Hydrogel with Mechanical “Fuse-link” in an Aqueous Environment”, Adv. Mat., 27 (2015) 7407-7411. 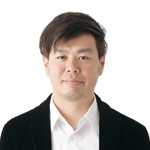 H. Kamata, Y. Akagi, Y. Kariya-Kayasuga, U. Chung and T. Sakai “ “Non-swellable” Hydrogel Without Mechanical Hysteresis”, Science, 343 (2014) 873-875. 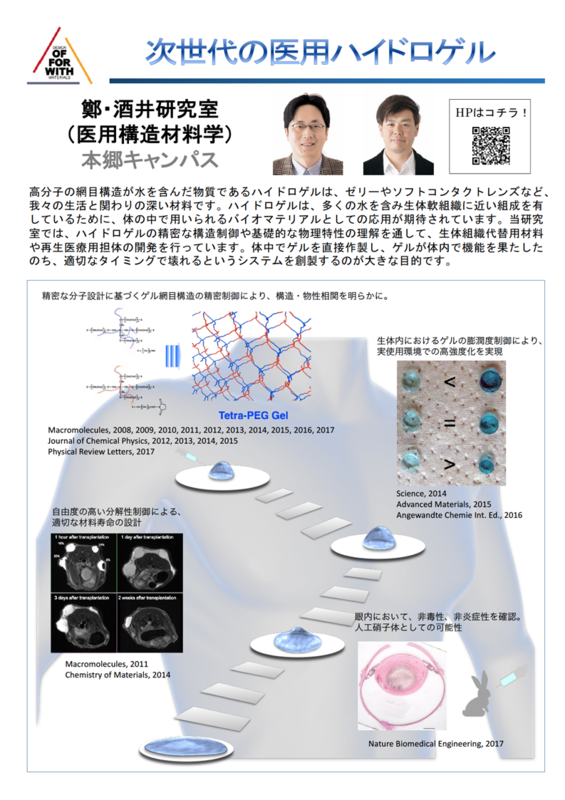 © Department of Materials Engineering, The University of Tokyo All Rights Reserved.